conclusively it will be a lifetime discussion. God Is, Lucifer is a devil, and there is a Hell. 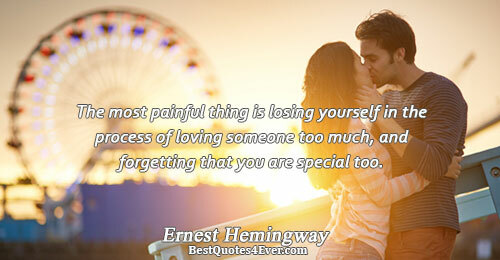 True love is wanting to spend the rest of your life with someone you would sometimes also like to strangle. We can speak and think only of what exists. And what exists is uncreated and imperishable for it is whole and unchanging and complete. It was not or nor shall be different since it is now, all at once, one and continuous. 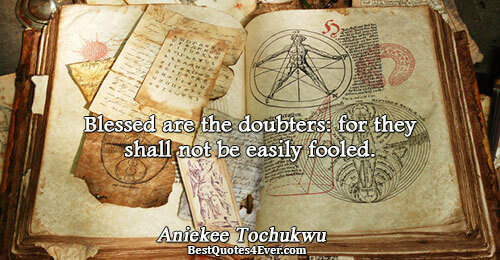 Blessed are the doubters: for they shall not be easily fooled. The Shaod, it was called. The Transformation... When it came, the fortuante person's life ended and began anew; he would discard his old, mundane existence and move to Elantris. Elantris, where he could live in bliss, rule in wisdom, and be worshiped for eternity. Man…who lives in three places – in the past, in the present, and in the future – can be unhappy if one of these three is worthless. Religion has even added a fourth – eternity. Happiness,... even the smallest happiness, is like a step out of Time, and the greatest happiness is sharing in Eternity. People seem to set there standards to high. They let Society distort there idea of finding that life partner. If you're willing to let go of the conformity and individualize your ideas that's when you will find true and utter happiness. The vampire could woo any woman with his charisma and his charm, but he only wishes to romance her.. for eternity. From my rotting body, flowers shall grow and I am in them, and that is eternity. We have only a little time to please the living. 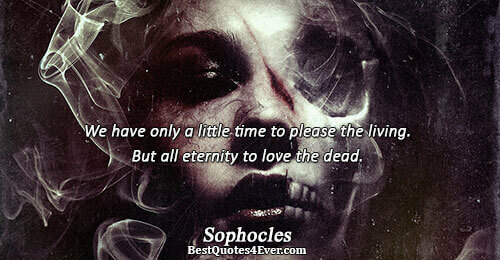 But all eternity to love the dead. But the sea and the shore will remain forever. I am seldom otherwise than happy while watching in the chamber of death... . I see a repose that neither earth nor hell can break, and I feel an assurance of the endless and shadowless hereafter-the Eternity they have entered-where life is boundless in its duration, and love in its sympathy, and joy in its fulness. Awareness is everything. Hallie once pointed out to me that people worry a lot more about the eternity *after* their deaths than the eternity that happened before they were born. But it's the same amount of infinity, rolling out in all directions from where we stand.